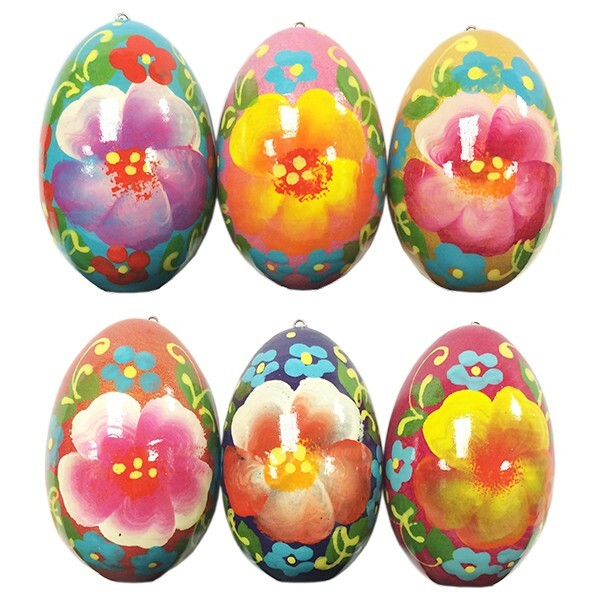 Easter Gift Flowers Handmade Wooden Eggs, set 6, 2"
These bright, festive and colorful Easter ornaments are decorated with beautiful flowers which were all hand painted. They will make your Easter decor look magical. They will bring a sense of joyful childhood, warm family gatherings and old kind folk fairy tales. 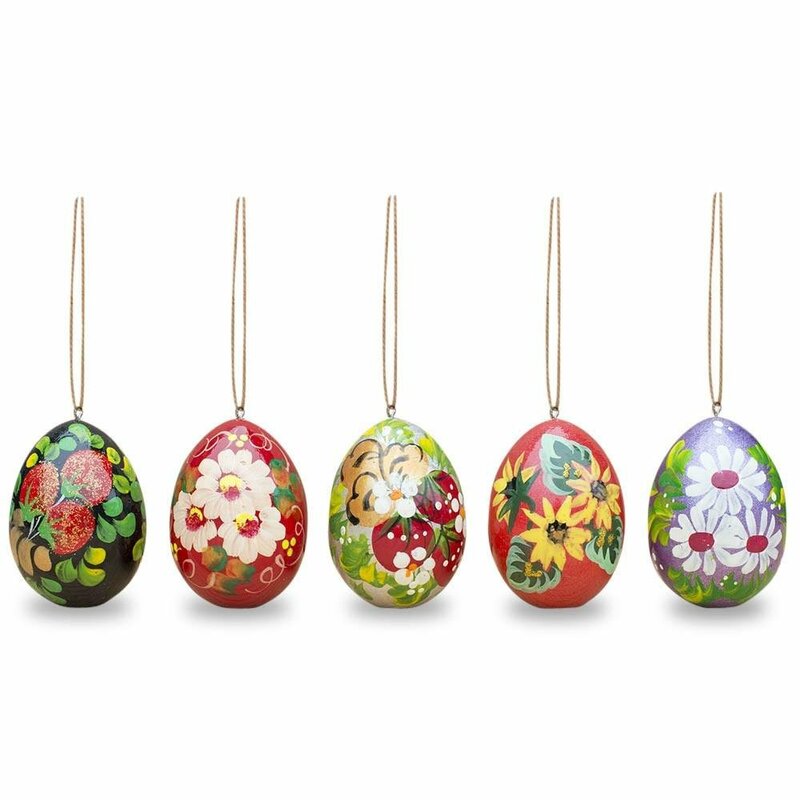 Handmade from real wood, these eggs are ecologically friendly, they do not break, so you can use it in your Easter decor without fear if you have little ones.